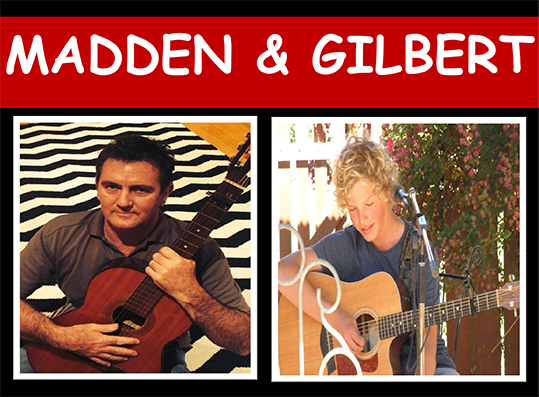 This Sunday the 1st of February, the Boatshed Markets welcomes – Blind George and Madden & Gilbert to the stage. Blind George will be on stage between 10am and 11.30am and Madden & Gilbert between 11.45am and 12.45pm. Madden & Gilbert are local musicians who explore the rich landscape of acoustic folk and blues, mixing it delicately with elements of Scottish and Irish traditional music. Relax before school goes back this Sunday and meet your family and friends down at the Boatshed Markets. Grab a bite to eat; buy local fresh and gourmet produce; browse talented local artisan stalls; and enjoy wine tastings from our Great Southern while you soak up the relaxed atmosphere and great live music down by the harbour. Images courtesy of Mark Pemberton and Madden & Gilbert.